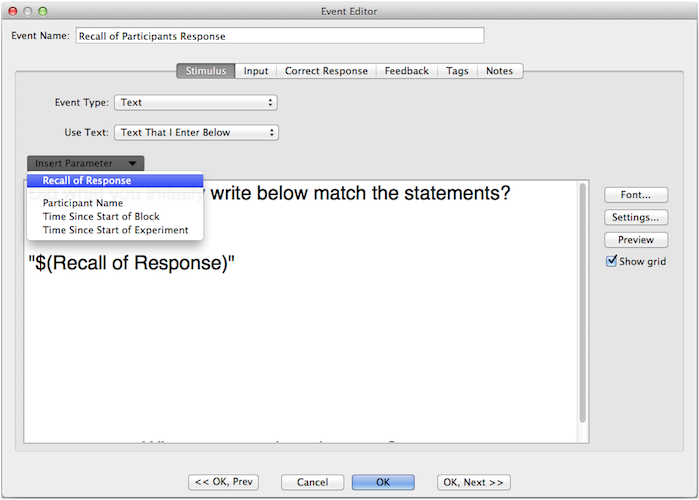 Participant input as a variable? I was wondering if its possible to take the input from Keyboard-String input and use it as part of the next trial. The experiment i am working on displays a number, which the participant must mentally subtract 3 from. They then input the number via the Keyboard-String Input. The idea is that the number they input is then displayed as the next number they need to subtract 3 from and so on for 60 seconds. Unfortunately this is not possible within SuperLab. This is now possible with our new release of SuperLab 5. Below is an image that demonstrates how this is implemented in SuperLab 5. Last edited by MonikaT; January 2nd, 2014 at 09:05 AM..